The U.S timeshare industry contributed an estimated $70 billion in consumer and business spending to the national economy in 2011, according to a study conducted by Ernst & Young for the American Resort Development Association (ARDA). “It’s encouraging to see these numbers – we aren’t just bringing people a better way to vacation, we are making a serious bottom-line economic impact, “Nusbaum said. The impact of the timeshare industry on the U.S. economy extends beyond timeshare resorts, including the economic impacts of sales and marketing offices, corporate operations, the construction of new resorts, the renovation of existing resorts, and the significant impact of expenditures of vacationers during timeshare stays. This study estimates the comprehensive private and public sector benefits generated by the timeshare industry. Combined direct, indirect, and fiscal impacts in 2011 by the U.S. timeshare industry included $70 billion in consumer and business spending, 493,000 full- and part-time jobs, $23 billion in salaries and wages, and $7.7 billion in tax revenue. Overall, the travel industry has been creating jobs 26 percent faster than the rest of the economy since March 2011, creating 271,000 new jobs in that time. There are over 194,200 units in 1,548 timeshare resorts in the United States, encompassing a significant portion of the U.S. hospitality industry. 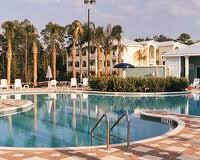 Spending by timeshare owners and guests during timeshare stays was estimated at $9.3 billion in 2011. About $1.5 billion was spent on-site at resorts, while $7.8 billion was spent off-site in the communities where the timeshare resorts are located. In addition to private sector benefits, the timeshare industry contributes significantly more federal, state, and local tax revenue per employee than the average industry, totaling $7.7 billion in 2011. Hilton Grand Vacations (HGV) has announced plans to renovate the existing 45 hotel rooms at the Hilton Craigendarroch into 32 spacious vacation ownership suites. The transition fortifies the company’s commitment to increase year-round leisure travel to the renowned destination in the Scottish Highlands. As part of this development, traditional hotel operations at the resort will be phased out as the property evolves to exclusively offer timeshare accommodations. 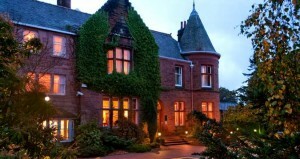 Hilton Grand Vacations already operates the 99 timeshare lodges at the resort in Ballater, an enterprise that has proven to be one of the most successful timeshare resorts in Europe. For more than 12 years Craigendarroch has been among the most highly demanded destinations within the Hilton Grand Vacations Club portfolio. The forthcoming re-branding will include the conversion of the property’s existing hotel units into luxury suite accommodations to be sold as timeshare apartments. The leisure facilities which currently operate as part of the Country Club will also be refurbished. The resort will continue to offer Country Club memberships, as well as guest access to the restaurant and bar areas. The transition, made possible through the support of Hilton Grand Vacations and parent company Hilton Worldwide, will take place over the next 12 months. “With the resort in its 28th year, this re-positioning will ensure the property’s long-term existence not only as a central part of the tourism business in Royal Deeside, but also as an important local employer,” said McIntosh. Beyond Scotland, Hilton Grand Vacations continues brand expansion in Europe with the announcement of a new resort in Tuscany, Italy (due to open early in 2013). Prime Investimenti sri, an Italian real estate company based in Prato, Italy, announced earlier this year that it is to open a luxurious 31-apartment vacation ownership resort to be known as “Hilton Grand Vacations Club at Borgo alle Vigne” in the Tuscan countryside. Hilton Grand Vacations has been appointed to provide Sales and Marketing services for weekly vacation ownership intervals at the resort, and Best International has been appointed to provide Sales and Marketing services in connection with fractional intervals at the resort. 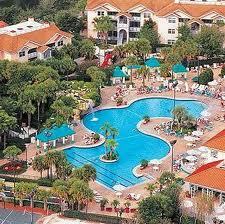 HGV will also be responsible for providing homeowners’ association management services and resort operations. Festiva Hospitality Group has announced the recent acquisition of Celebration World Resort in Kissimmee, FL, coming in the wake of troubled times for the resort and its owners. Festiva is committed to making much-needed improvements to the property itself as well as to the management operations, so that the resort’s owners can enjoy the quality vacations they deserve. As part of the acquisition and overall improvements to the resort, Festiva has changed the name of the resort itself and its HOA to Festiva Orlando Resort. The new name represents the Festiva brand as well as the fantastic destination of the resort. Several improvements are already underway at the property as part of the multi-million-dollar refurbishment and renovations project. These changes will ensure that the more than 11,000 Festiva Orlando Resort owners have the quality accommodations and amenities that they expect and deserve. Festiva Hospitality Group became involved in this acquisition, which ultimately saved the property from bankruptcy, through CapitalSource Finance, LLC, a real estate and mortgage lending company specializing in commercial real estate that Festiva has previously worked with on several other acquisitions. “CapitalSource reached out to Festiva because of our confidence in Festiva’s ability to deliver on the operational and administrative improvements necessary to turn the resort around,” said Brian Petronis, vice president of portfolio management for CapitalSource. The acquisition and plans for improvements were made during a time of communication with the state of Florida as Festiva executives worked closely with The Florida Department of Business and Professional Regulation (DBPR) near the beginning of the acquisition process. “Early on we recognized that the many issues the resort owners had been and would continue to deal with would cause ongoing operational, legal and managerial challenges. Therefore, Festiva decided to reach out to the DBPR to inform them of these many challenges and to work with them to ensure the best possible long-term outcome for the resort’s owners,” said Tobias A. Weas, Esq., RRP, vice president of government relations and general counsel of Festiva. “Once our renovations and improvements are complete, the end result will be a high-quality and financially stable resort in one of the best vacation destinations in the world that can be enjoyed by its owners as well as Festiva’s existing members,” Clayton said. Marriott's Ko Olina Beach Club, located on a secluded lagoon within the upscale Ko Olina Resort, recently completed its fifth development phase, delivering 132 new two- and three-bedroom villas to Marriott Vacation Club's largest resort in the Hawaiian Islands. 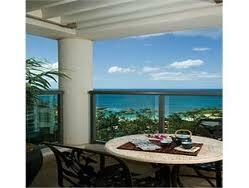 Just a 30 minute drive from Honolulu, the resort is on Oahu's western shore. The spacious and luxurious two- and three-bedroom villa interiors are designed with Hawaiian inspired furnishings and fixtures, fabrics and paint in a pallet of yellows, greens and reds contrasting the deep mahogany finish on furniture and cabinetry. Fully-equipped kitchens feature stainless steel appliances and large living and dining areas lead to private balconies with glass paneled railings ensuring incredible views that will thrill every Owner and guest. Villas also include flat panel televisions and DVD players in the living area and bedrooms in addition to a washer/dryer. Three-bedroom villas accommodate 10 guests and complimentary high-speed internet access is available resort-wide. The resort has a fitness center featuring Life Fitness equipment and guests can also enjoy championship golf at the Ko Olina Golf Club and the Spa by the Sea at Ko Olina. "Ko Olina Beach Club is a magnificent resort set in one of Oahu's prime beachfront locations," said Edgar Gum, Regional Vice President Hawaii Operations, Marriott Vacation Club. "The availability of these beautiful villas comes at just the right time when our occupancy will reach nearly 100% through the summer months and the attention to detail and relaxing views will make for many memorable vacation experiences for our Owners and guests," said Gum. Each week, guests can also enjoy the Fia Fia Polynesian Dinner Show featuring Hawaiian cuisine, drums, fire knife dancing and more. Marriott's Ko Olina Beach Club offers the ideal Hawaiian vacation from its perfect beachfront location and private lagoon to multiple swimming pools surrounded by lush tropical gardens and unobstructed ocean views that together create an atmosphere of relaxation.